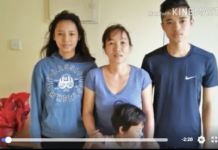 Nguyen Thi Phuc and her 3 children were originally among 46 Vietnamese asylum seekers flown back to Vietnam after Australian authorities intercepted their boat on 21 July 2015 off the coast of Western Australia. 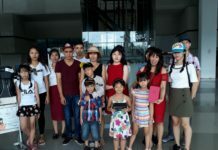 Upon their return to Vietnam, Mrs Phuc was fined and received a suspended sentence in a civil court for having participated in the trip, but was not charged as an organizer and did not serve time in jail. 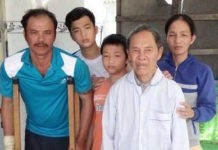 Mrs Phuc said she and her children had fled Vietnam in the first place because the family had lost their livelihood due to Chinese incursions into fishing grounds but had nevertheless been penalized by having to pay higher taxes. She and her husband had also been the victims of violence, having been beaten by an attacker. The family also maintains there is institutionalized discrimination against Catholics and that they left in quest of religious freedom. 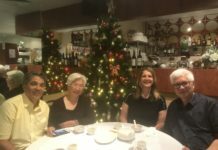 Meanwhile, Mrs Phuc’s husband, Tran Van Yen, was recently released from jail in Indonesia, having been accused of fishing in Indonesian waters. 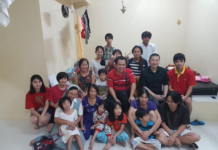 On the night of 31 January 2017, Mrs Phuc and her 3 children were among 18 asylum seekers, who fled Vietnam secretly by boat in a second attempt to reach Australia. On 10 February, however, their boat engine failed, the current carrying them into Indonesian waters, where the boat hit rocks and began to sink, resulting in them losing everything. 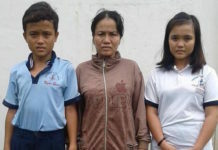 Rescued off the Java coast by Indonesian authorities, they were interviewed by the UNHCR twice in an effort to gain refugee status in Indonesia. Australian crowd fund donations once again supported the group initially in Indonesia, paying for hostel accommodation and meals for all of them plus 2 security guards for several days, and thereby preventing them from being deported immediately to Vietnam and giving them a chance to be interviewed by the UNHCR. 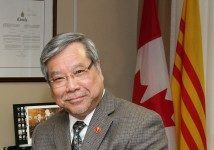 Unfortunately, this was not sustainable long-term, as funds needed to be conserved for the children’s future. So the family is now dependent on Indonesian immigration and the IOM (International Organization for Migration). 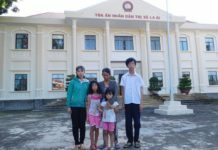 We know through the family’s lawyer Don An Vo (https://www.facebook.com/profile.php?id=100008231020747) and Tran Thi Thanh Loan’s sister, Thuy Trong, in Vietnam that when police discovered they were missing, they set up roadblocks around La Gi village, checking everyone who entered and left. The police also harassed the extended family, wanting to know the details of their escape. A family member described the police action to Australia’s SBS news. 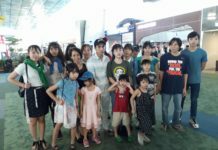 The family was granted refugee status by the UNHCR while in detention in Jakarta on 5 May 2017. They are now awaiting resettlement in a third country, which could still take a long time.